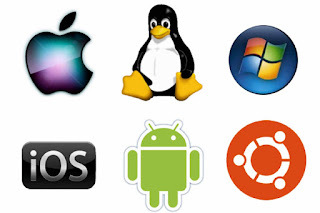 Operating System MCQ questions and answers focus on all areas of Operating System prescribed by PSC Syllabus. Questions are composed, compiled and collected from a collection of most authoritative and best reference books and sites on Operating System. 51.Which command is used to display the contents of the text file of DOS? 53.Which of the following is an essential file of an MS-DOS boot disk? 54.Which one is true for unconditional disk formatting? 56.What is the function of radio button? 61.Which of the following operating system reads and reacts in actual time? 68.Which of the following does not occur during the power-on-selftest (POST)? 70.Which of the following is drop down list? 72.Which components appear in the initial Windows start up display? 77..... runs on a computer hardware and serves as a platform for other system to run on. 78.Which runs on computer hardware and serve as platform for other software to run on? 80.Which is the first program run on a computer when the computer boots up? 86.Which of the following is/are external commands? 87.Which is not an external command? 88.Which of the following is not essential to shut down your computer? 94.Which components appear in the initial windows start up display? 99.Which of the following is suitable after you install new drivers? 100.Windows displays various options to shutdown. Which is suitable at the end of day?